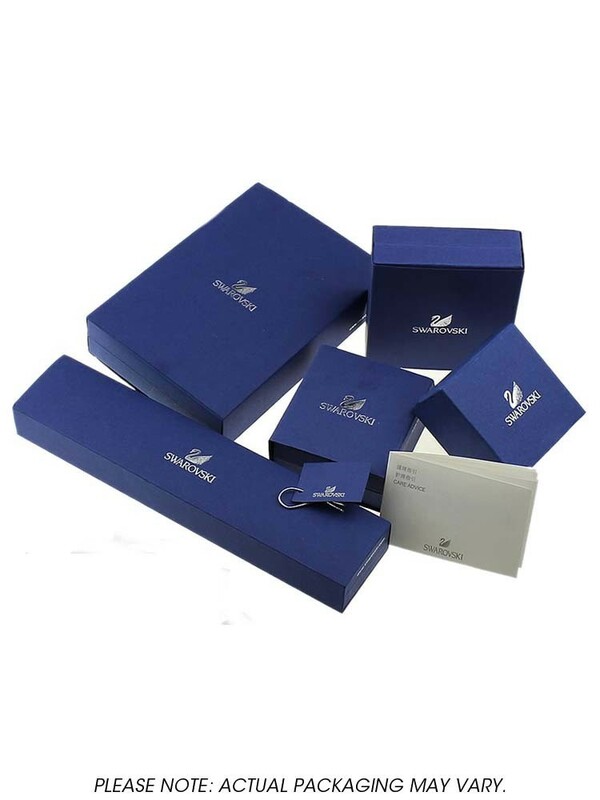 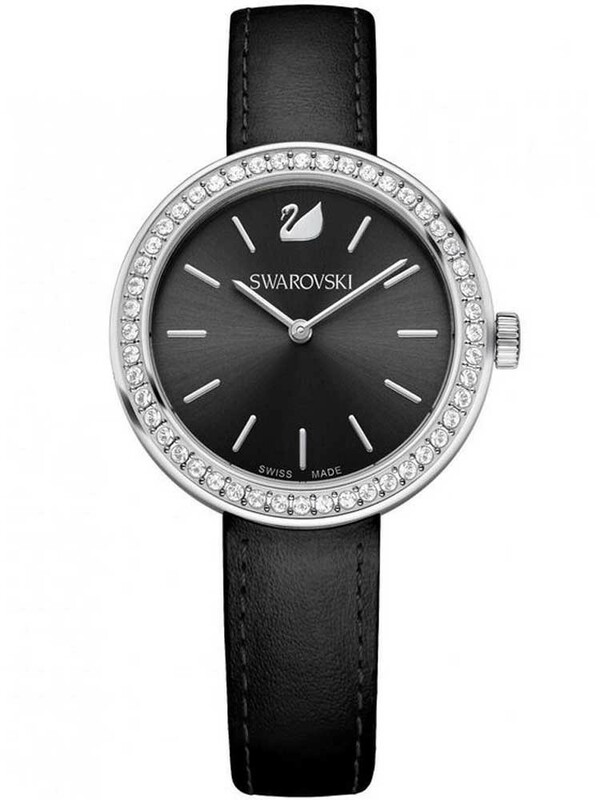 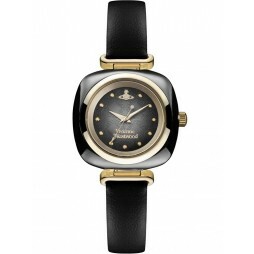 An alluring ladies strap watch from Swarovski and the Daytime Collection. 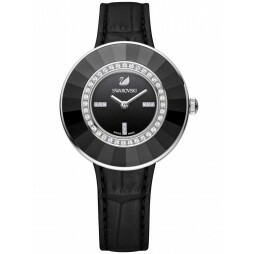 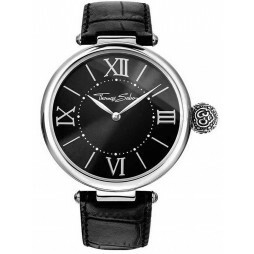 Crafted from a smooth round steel case, adorned with sparkly clear crystals and elegant baton hour markers and hands. 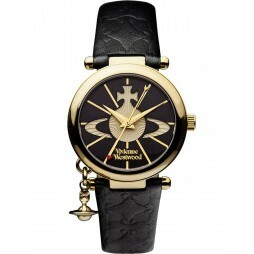 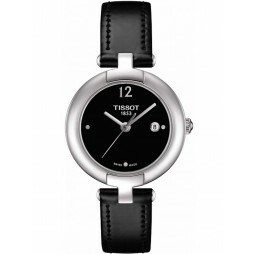 Complete with a slender black leather strap for a comfortable wear ideal for everyday, buy with confidence.